After having met at university and finding out their ideas on art align during their internships at Plan B and Thomas Fischer in Berlin, Jeroen Staes (27) and Wouter De Vleeschouwer (25) decided to join forces. With the opening exhibition featuring Romanian artist Ciprian Muresan and art veteran Joachim Bandau, the tone is set: with brand new art space Convent, the duo chooses to focus on international artists, both emerging as well as established. 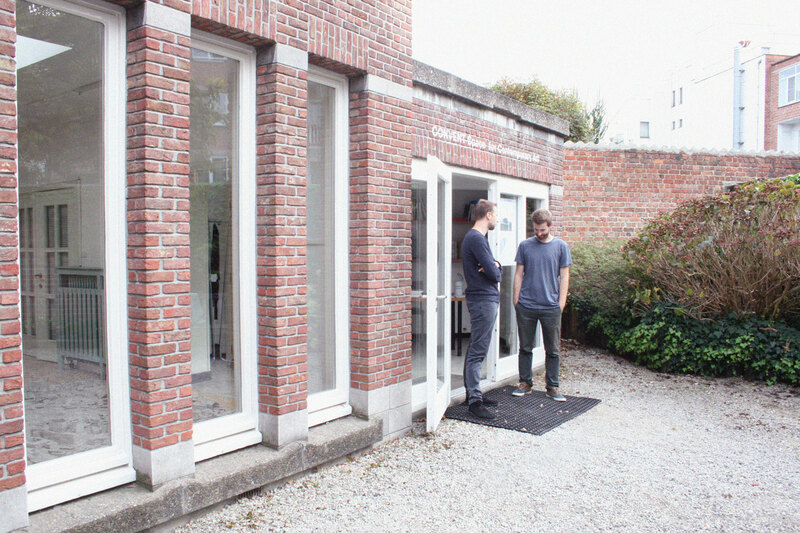 We met with Jeroen and Wouter a few days after their first opening show this fall and talked about the ambitious project, Ghent’s art scene, and being in it for the long run. So you’ve known each other for quite some time, but how did the idea of starting up a non-profit art space together come about exactly? J: After graduating, we both enrolled in the curational post-graduate programme at KASK where we noticed that we were on the same page on many different topics, and that our ideas on art complement each other. 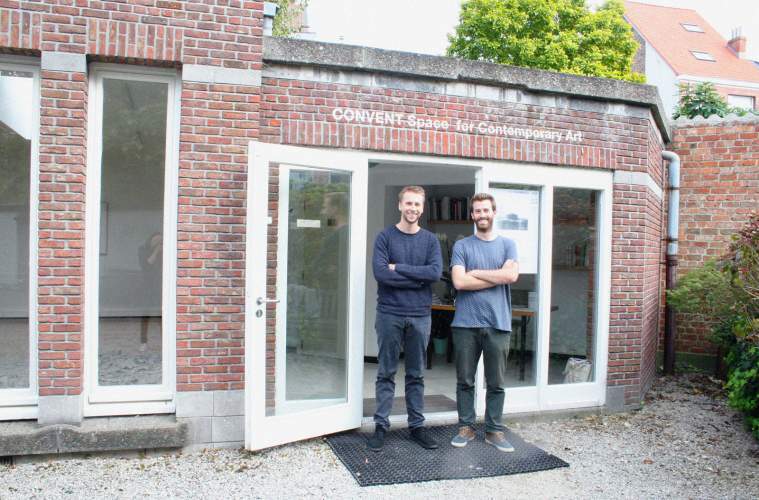 We felt Ghent still offered some room for a space dealing with international contemporary art and the plans for Convent pretty much grew from there. You mention that you still saw room for it specifically here in Ghent. Is there a shortage in that area? W: I think so, yeah. We’ve got a few exhibition spaces here in Ghent, but they mainly focus on local artists. It’s a good thing, as they offer a platform to all the young artists graduating from the local art academies, which are strongly represented and firmly embedded into the cultural scene here in Ghent. But we feel a space that tries to aim further and that puts international artists on display is still missing. We do have KIOSK though, whose makers really have their fingers on the pulse. Long story short, Ghent has a lot going on, but in this regard, it still can’t compete with Brussels or Antwerp. 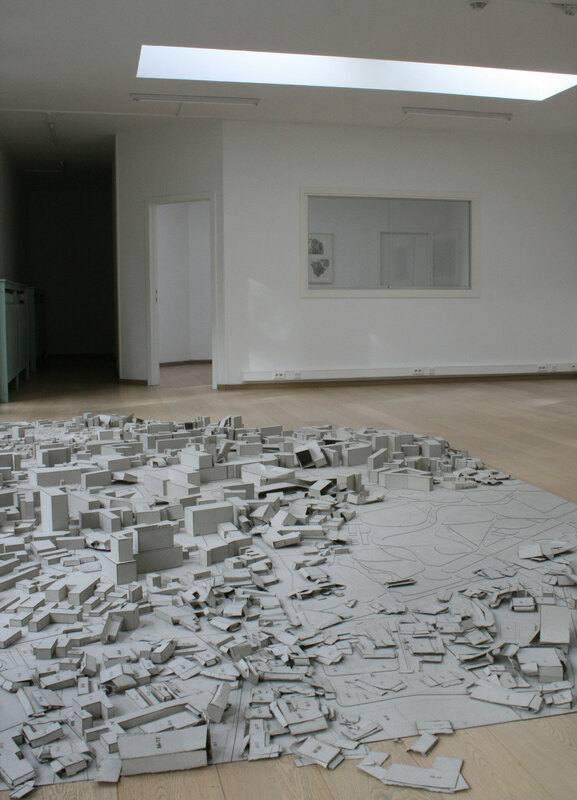 J: In terms of contemporary and upcoming art, in Brussels the whole gallery circuit ensures an enormously varied range. Same goes for Antwerp. Ghent never really had a gallery scene worth mentioning. How do you feel about being twenty-something and taking up such a task? You might assume that a medium-sized city has institutions which are up to the job. J: I think it’s impossible for any museum of contemporary art to be in tune with everything that’s going on. As we say on our website: we’re aiming for a programming that is complementary to the institutionalized circuit. It’s easy to criticize the classic art centers, but they have to deal with maintaining and showing their collections and all this kind of stuff. This is not just the case here in Ghent either. The art world is just so massive, no museum could ever cover it all. W: For us it’s also a great opportunity to develop a vision of our own, to gain experience, to learn. Talking with the artists, building up the exhibition alongside them, … it’s great. J: To me it’s exactly what makes it all worthwhile. You did internships at Plan B and Thomas Fischer, which is why the center piece by Muresan and the work of Bandau are part of the opening show. How do you see yourselves attracting other somewhat established names for future shows? J: Well, we try to go abroad and see a lot of exhibitions as well as the big art fairs to discover new artists. Apart from that, I guess we just have to approach people and get a conversation going. Until now, we’ve been lucky to stumble upon a lot of good will and enthusiasm. Take Pavel Büchler for example who made quite a name for himself during the last couple of years and has been involved in several impressive projects: despite all that he was very receptive towards our proposal. W: It’s been quite simple actually. We just addressed the artists or their galleries and were lucky to get a lot of positive reactions. I believe it’s thanks to the fact that we bring them a convincing concept. For your opening exhibition at Convent you brought together four artists who seem to belong to four different generations. Was that a conscious decision? W: We’re looking for a sound mix of emerging and established artists, just as we’re looking to build up a wide-ranging audience: we want to attract the art students and professionals here in Ghent, but also general art enthusiasts. Judging from the opening night, it looks like we managed to do that. J: It’s part of the Convent concept to put the work of people like Joachim Bandau, who has an entire career to look back upon but somehow remained under the radar around here, next to an artist like Muresan, who’s on the verge of an international breakthrough. His installation at Art Basel‘s Unlimited was very well received – and hasn’t been shown in Belgium before. By the sound of it, you’re both in it for the long run. W: Definitely. Especially because this, too, is a problem here in Ghent: art spaces come and go, new projects arise, and after a year or two, the curtain falls. This bothers me to be honest. We want to do it differently. We’ve been preparing this for over more than a year and – if I may say so myself – we really thought the whole thing through. How do you see things evolving for Convent, what are you hoping for? W: This time we applied for project-based funding, but as you can only apply a limited number of times, we’ll have to think of alternatives as well. It’s a good thing we can use the space free of charge. It’s the gym hall of a former Catholic school by the way, hence the name. J: We want to be able to host five or six high-quality, coherent shows per year. This way we can build a strong portfolio enabling us to apply for structural means. We want to use the advantage being an art space and not a gallery to curate the kind of shows which are based on meaning and content, not whether this or that is sellable or if the colour of object A matches with that of object B. This is how we envision the future.